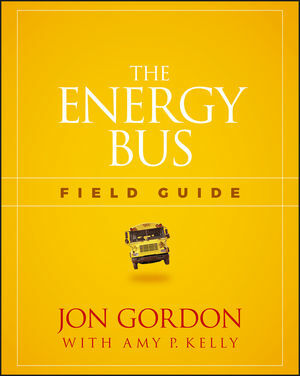 The Energy Bus Field Guide is your roadmap to fueling your life, work and team with positive energy. The international bestseller The Energy Bus has helped millions of people from around the world shift to a more positive outlook; the story of George and Joy bus driver has resonated with people from all walks of life, each with their own individual vision of "success." This guide is designed as a practical companion to help you live and share the ten principles every day, with real, actionable steps you can immediately put into practice in your life, work, team and organization. Navigate the twists and turns that sabotage success. Cultivate positive energy and bring out the best in your team. Create a compelling vision for your life and team. Cultivate positivity and remove negativity from your life and organization. Learn how every day people and organizations utilized the Energy Bus to create amazing success and results. Filled with insightful questions, practical action steps, best practices and inspiring case studies you’ll be equipped to energize yourself and your team in new and powerful ways. Whether it’s a family team, work team, sports team, or school team, everyone benefits from getting on the bus. JON GORDON's bestselling books and talks have inspired audiences around the world. His principles have been put to the test by numerous NFL, NBA, and college coaches and teams, Fortune 500 companies, school districts, hospitals, and non-profits. Jon has been featured on The Today Show, CNN, Fox & Friends, and in numerous magazines and newspapers. In addition to the The Wall Street Journal bestseller, The Energy Bus, he is the author of numerous popular books and guides.